Pavatex DSB 2 airtight membrane is an external membrane providing good levels of airtightness. 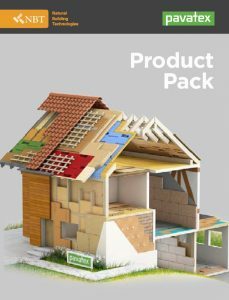 SD value = 2 m.
Pavatex DSB 2 is deployed as an airtight vapour control layer for use when creating airtightness from the outside and is laid under the insulation layer. This membrane has self adhesive strips for the overlaps. Vertical overlaps must be sealed with Pavatape 12. 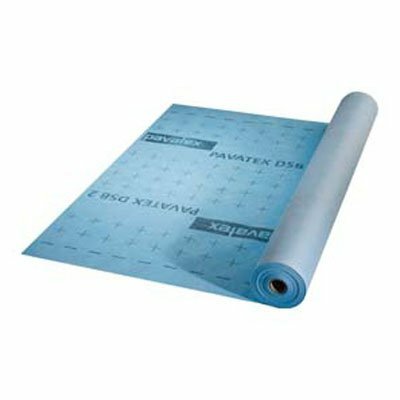 Pavatex DSB 2 airtight membrane is supplied in rolls measuring 1.5 m x 50 m. The actual use-able area is 70 m² per roll.